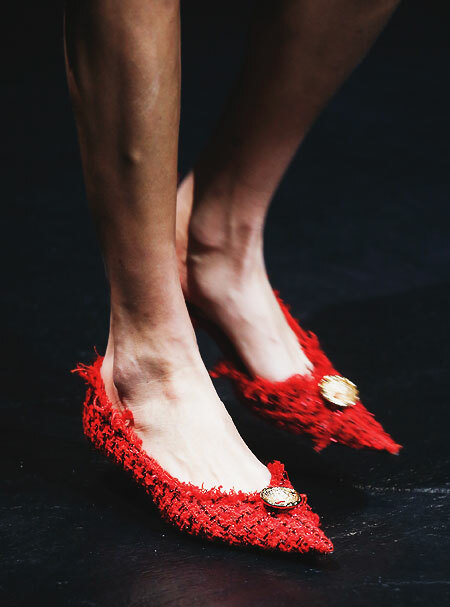 Balenciaga is reviving pointy-toes to a whole new level. 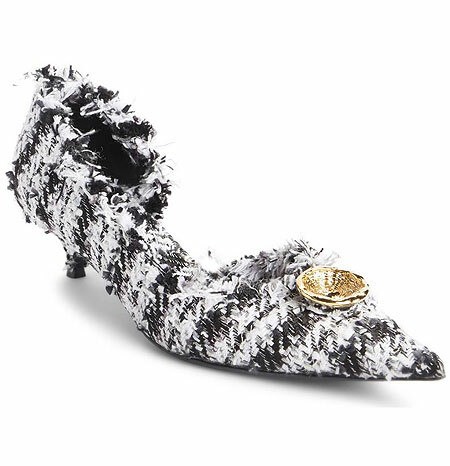 For the latest runway collection, the designer introduced frayed tweed stillettos with a touch of avant-garde style. We are really into the distressed details which are perfectly balanced with the gold-tone button. 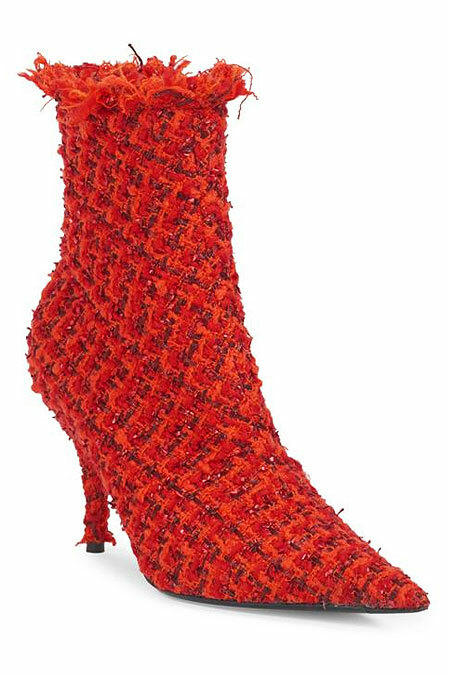 Dries van Noten Ankle Boots Are So Cool!